Tanzanian Tour Guide Is A Five-Star Success On Airbnb : Goats and Soda After Godwin Ndosi found success renting out his family's house to tourists, he vowed to expand his business and go to grad school. Did he stick with the plan? Godwin Ndosi rents out rooms at his parents' house to guests around the world through websites like Airbnb. He's standing with one of his international visitors. After signing up for Airbnb, Godwin Ndosi waited four months for his first guest. That was back in 2015. 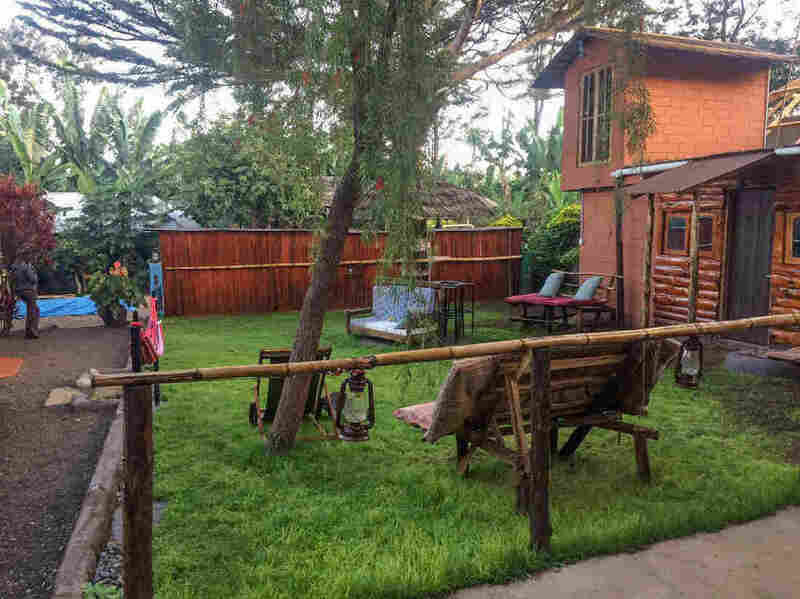 He went on to become a superhost, renting out his family's house in Arusha, Tanzania, for a bargain rate of $15 a night to tourists from around the world. Did he stick with it? On Godwin Ndosi's Facebook page, photos from his adventures over the past year — his travels to Europe, wild animals from safari trips he's led to the Serengeti, selfies with tourists who's stayed at his home — fill his timeline. "Brother you made it," "Congratulations, bro," "You have achieved my dream," write friends on his Facebook wall. Ndosi has become a shining example of success in Arusha, Tanzania. In 2015, when he was 23 years old, he started renting out rooms in his family's house on Airbnb to make an income. 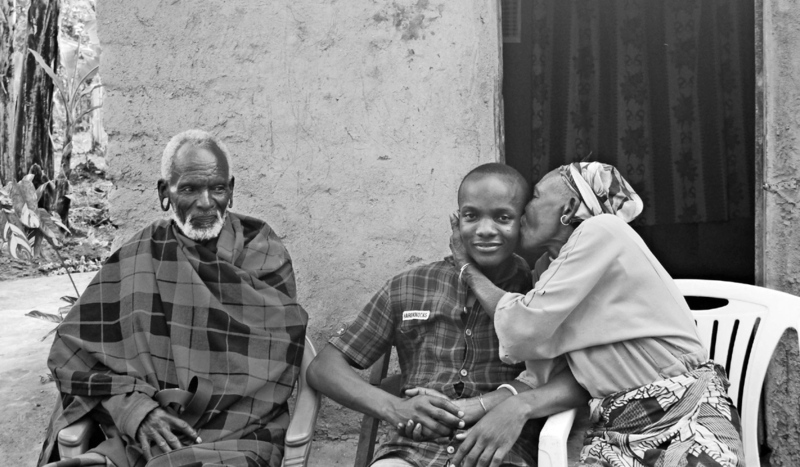 A tradition in his Maasai culture required him — the youngest in the family — to provide for his parents and look after their property, a four-bedroom bungalow surrounded by palm trees and a lush garden out back. And he was stressed out about how to make ends meet. Ndosi (center) rents rooms in his family home. Sometimes he takes guests to visit relatives like his aunt and uncle (pictured above). Renting out the family home turned out to be a great idea. In the first year, he hosted more than 200 guests from countries like Germany and the U.S., using a variety of home rental websites and reaching "superhost" status on Airbnb. Ndosi dreamed of using the money he made to start graduate school, gain more clients for his safari company and expand his homestay business. We checked in on him in early August. Ndosi, now 25, is still welcoming tourists. And last November, he started attending graduate school part-time at the Open University of Tanzania to study business administration — just as he planned. He hopes to use the "new knowledge" to become a better entrepreneur, he wrote NPR via Facebook messenger. He still has his five-star host rating on Airbnb. This month, a reviewer wrote: "His knowledge and kindness were above and beyond anything we could of [sic] asked — including ... visiting his aunt where we roasted and ground our own coffee — unforgettable!" 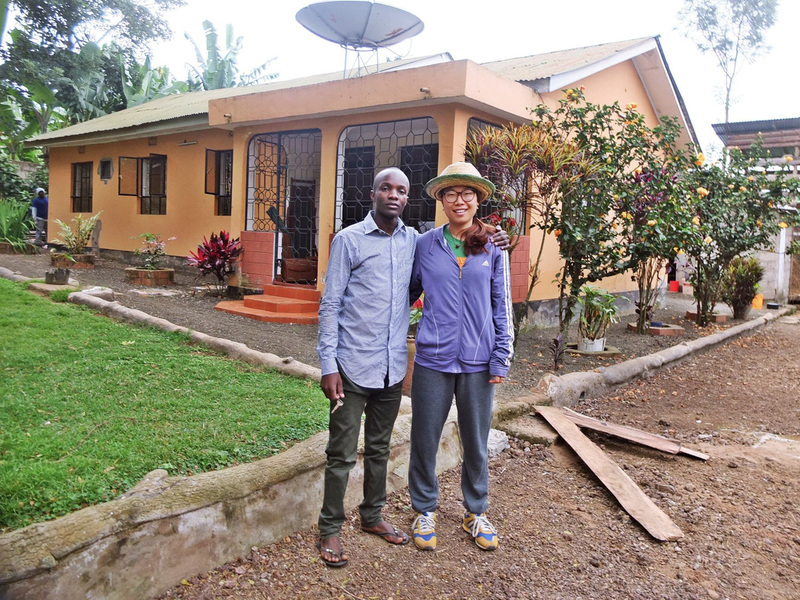 Ndosi expanded his homestay business by building three dwellings in his backyard. Ndosi has used his earnings to grow his home-rental enterprise. On the edges of his backyard, he's built three wooden dwellings with thatched roofs, each with a bedroom, kitchen and bath — more rooms for the guests, he explains. He still charges $15 per single room a night. More guests mean more customers for his the safari trips he leads to landmarks like Serengeti National Park and Mount Kilimanjaro. His homestay business has also led to some unexpected surprises. A few former guests invited Ndosi to visit "whenever," and he took them up on it, traveling to five countries in Europe earlier this year. His former guests connected him to groups of students and photographers interested in traveling to Tanzania, and he spent a week teaching high schoolers in Germany about his culture and what it's like to work as a safari guide. In his village, he's partnered up with Upendo Face Orphanage. His homestay guests are invited to volunteer at and support the orphanage. So far, his clients have sponsored five children to attend an English boarding school in Tanzania. And he buys fruits, veggies and handicrafts for his guests from local farmers and women vendors, bringing income to small business owners. His former college roommate Mweta Mtera, who runs his own safari business, says Ndosi has become an inspiration in the village. "People like Godwin, they are very few, maybe one in 50," he says. "The community looks up to him. They ask him for advice, how to get more safari clients, how to run a tour guide business." As a result of all his accomplishments, his parents decided to give him — in addition to the bungalow — five acres of land in July. In Maasai tradition, the family land is given to the youngest child at the last possible moment, "when the [parents] are very old, sick in bed and dying," says Ndosi, who has two sisters and one brother. But he got his parents' land much earlier than that. "They pass it down to you if you can prove that you will use the land well," he says. He planted corn and sunflowers on the land and hopes to harvest the crop this month. Of all the things that have happened to Ndosi this year, he's most excited about the three-bedroom house he's building, with a kitchen, dining room and sitting room, all for himself. For a boy from a small village, he says, "it's a dream come true."